This charming hotel can be found in Singapore. There are a total of 60 guests rooms on the premises. Pets are not permitted on the premises. Satisfy your appetite with Chinese cuisine at Founder Rou Gu Cha, one of the hotel's 2 restaurants. Breakfast is available daily for a fee. Located in Singapore (Bencoolen), V Hotel Bencoolen is within a 5-minute walk of Singapore Management University and National Museum of Singapore. 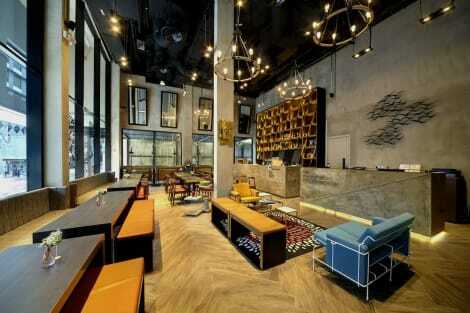 This hotel is 0.8 mi (1.3 km) from Plaza Singapura and 1.1 mi (1.7 km) from Peranakan Museum. Located in Singapore (Kampong Glam), Destination Singapore Beach Road is within a 10-minute walk of Malay Heritage Centre and Haji Lane. This 4-star hotel is 0.6 mi (0.9 km) from Sultan Mosque and 1.7 mi (2.7 km) from Singapore City Hall. Make yourself at home in one of the air-conditioned rooms featuring flat-screen televisions. Complimentary wireless Internet access keeps you connected, and satellite programming is available for your entertainment. Partially open bathrooms with showers feature complimentary toiletries and hair dryers. Conveniences include irons/ironing boards and blackout drapes/curtains.